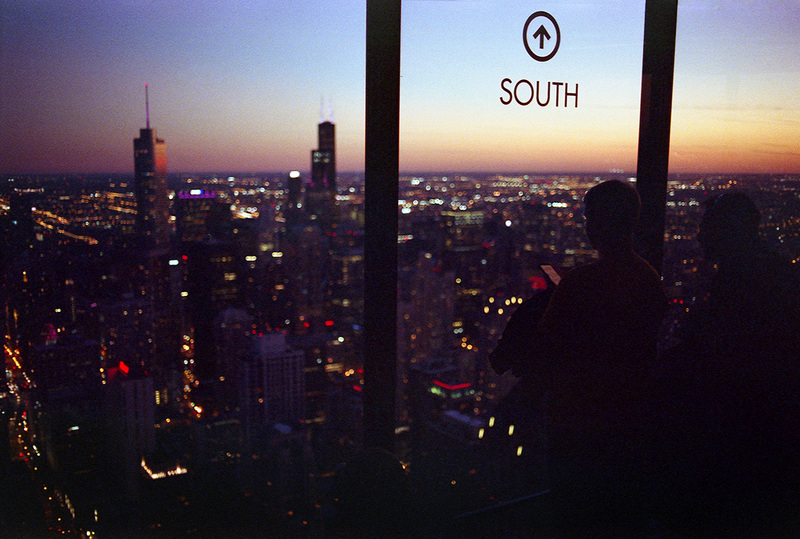 I’ve been wanting to get out to Chicago for years now. I’m not entirely sure what took me so long as it’s really not that far away, but at the ripe old age of 33 I finally made it. After my trip to Europe a couple months ago I’ve been really into shooting Fuji films, namely Superia 200 and 800, and now with this latest trip, 400 as well. I still prefer Portra for medium format (especially with Fuji not even making Superia in 120), but I did take this opportunity to try out a couple more new films I’ve either never shot, or haven’t shot in a very long time. 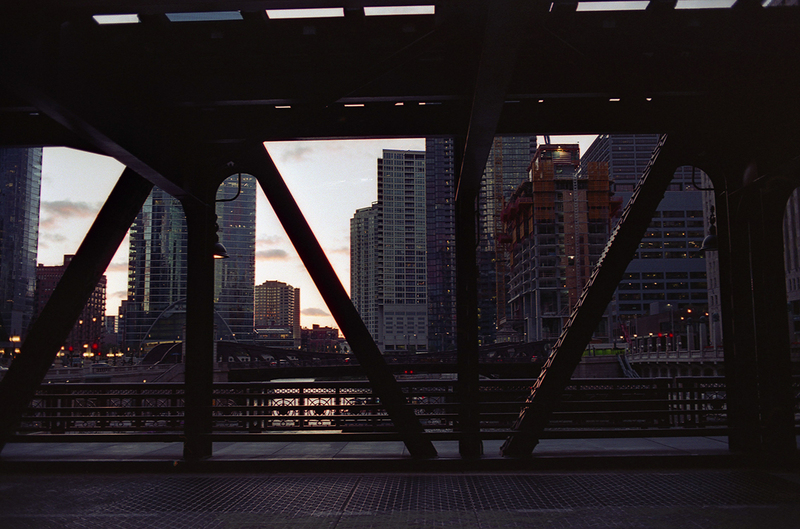 These first three shots were all on 645 Portra, but I also have a few shots mixed in down below from a roll I shot on Provia 100F. 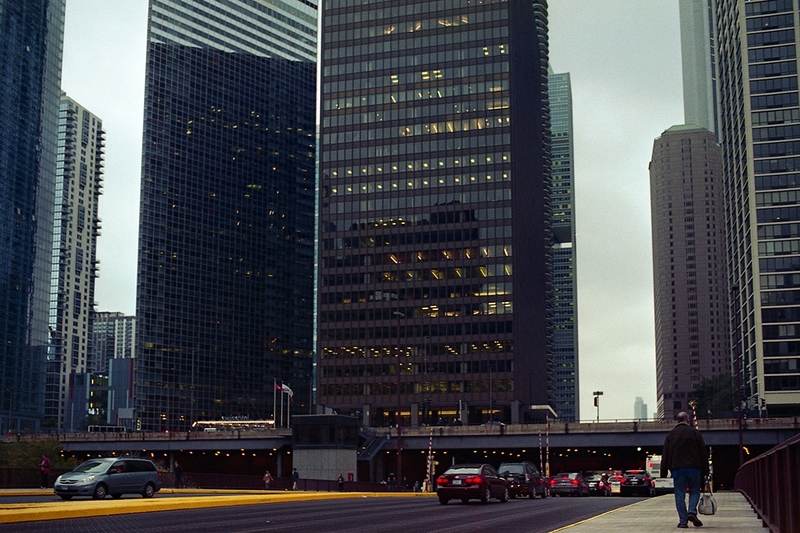 This was the first time I had ever shot medium format slide film. 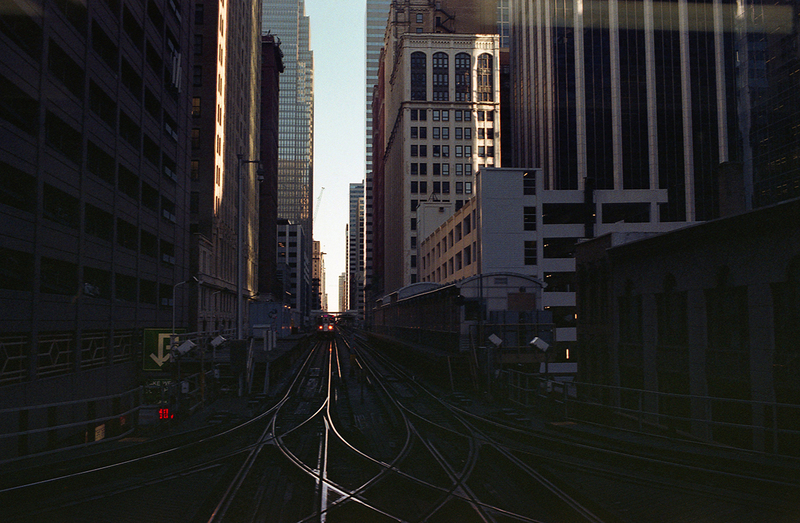 I did like it in 120, but I also shot a roll of it in 35mm and really disliked it. 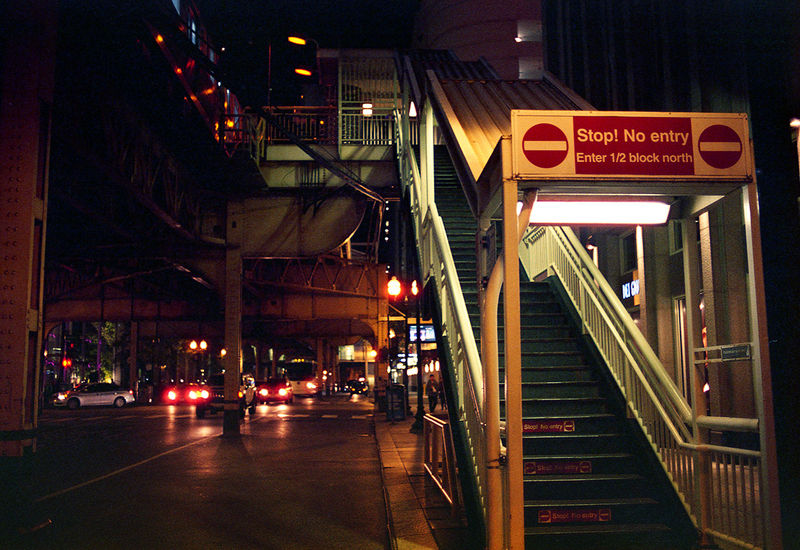 I just don’t think slide film lends itself to what I’m generally going for and how I like to shoot. 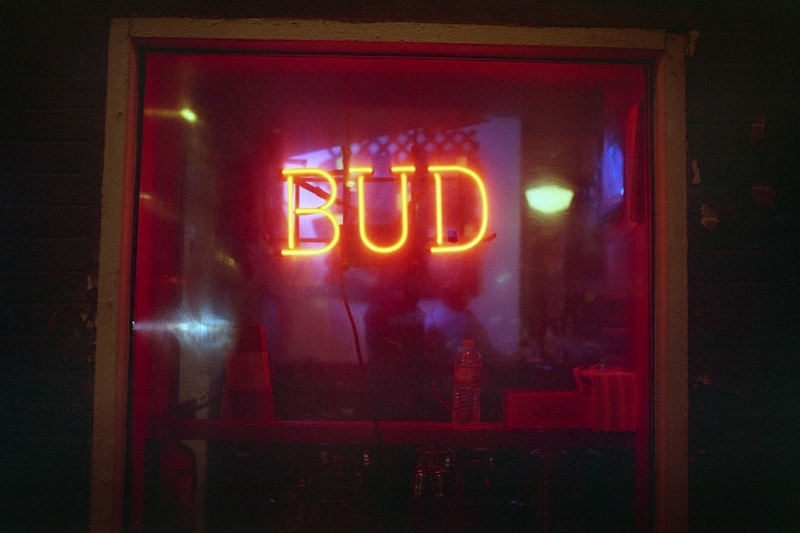 I especially really missed the extra exposure latitude I get out of negative film. 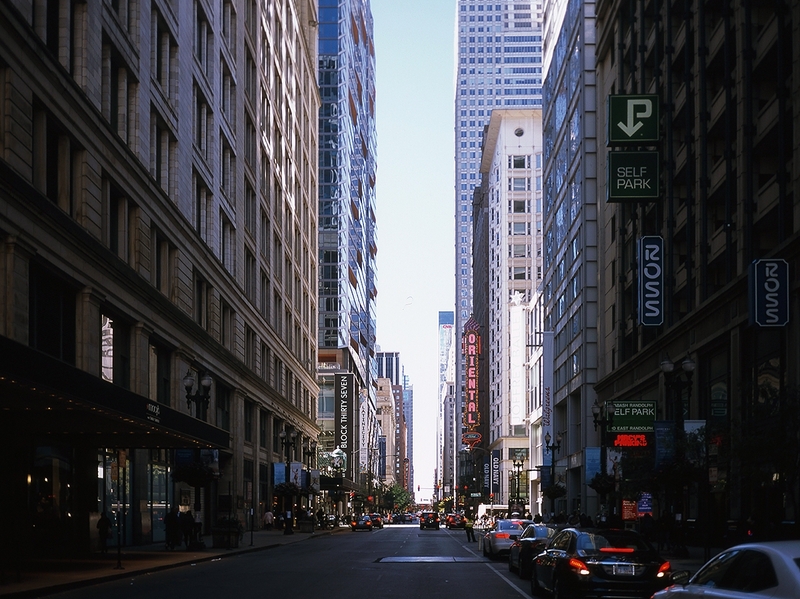 Most of my time in the city was spent in and around the downtown area, known as the Loop. 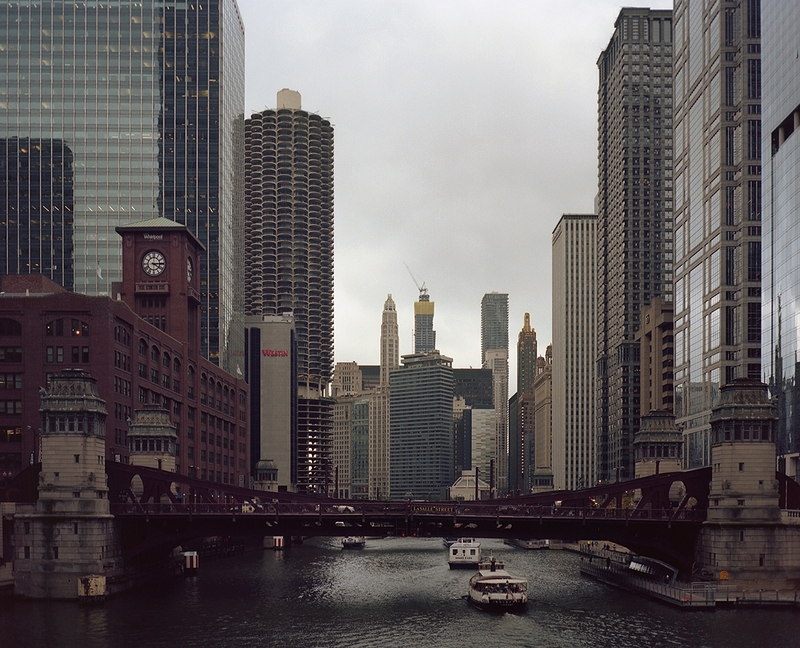 I also ventured about a 20-30 minute walk both west and up to the River North areas. 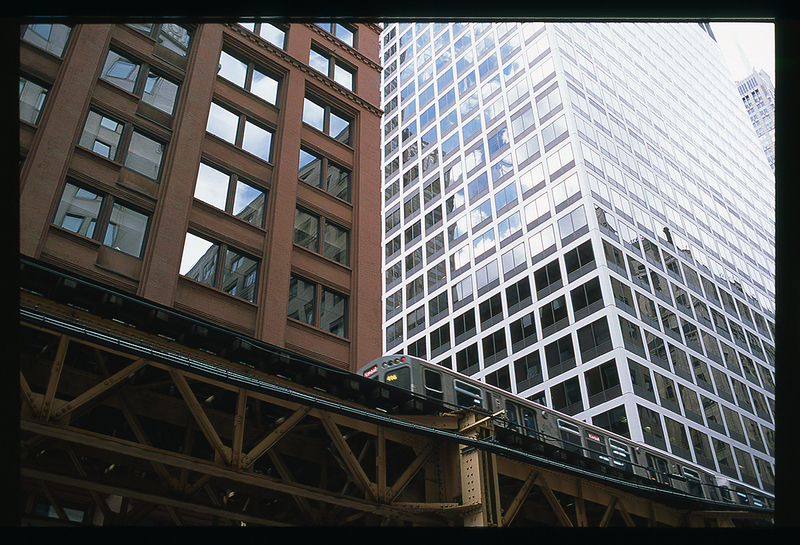 Most of the cool architecture and elevated trains which I had always associated with Chicago were downtown though so that’s where I wanted to spend my time photographing. 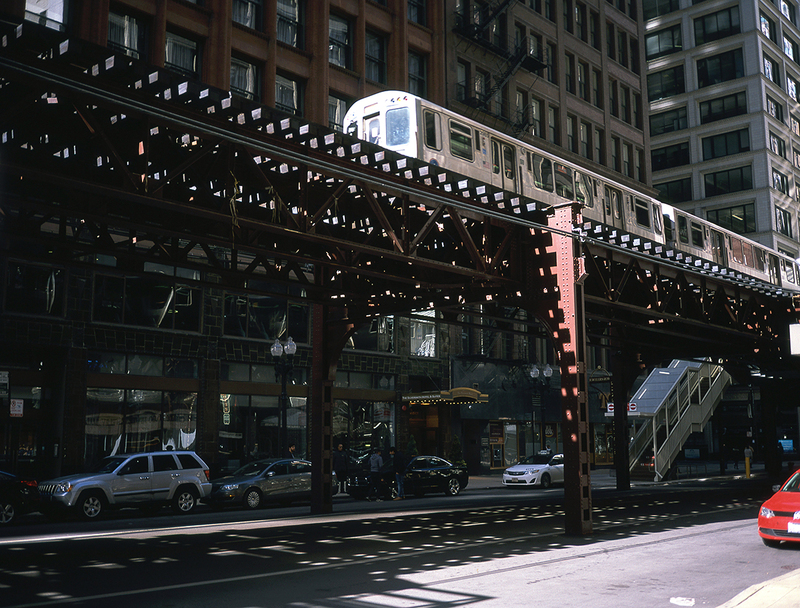 Downtown Chicago is actually surprisingly walkable, but I did take some time to just ride the elevated trains around for fun. I’ve always wanted to do that. 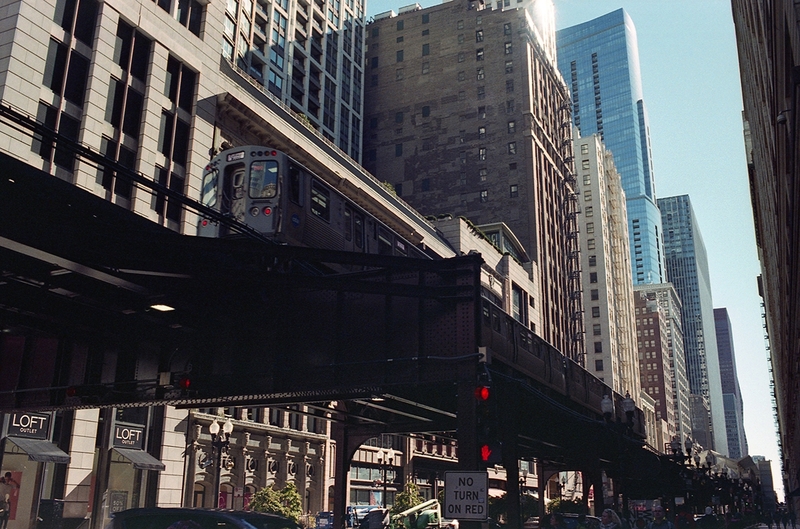 And when I wasn’t riding the trains, I was walking the streets underneath them. It was really cool. Boston used to have some old elevated trains downtown, but the last ones got moved underground with the Big Dig. Being here reminded me of when I was a lot younger and used to skip school and take the train into the city for the day with my friends. 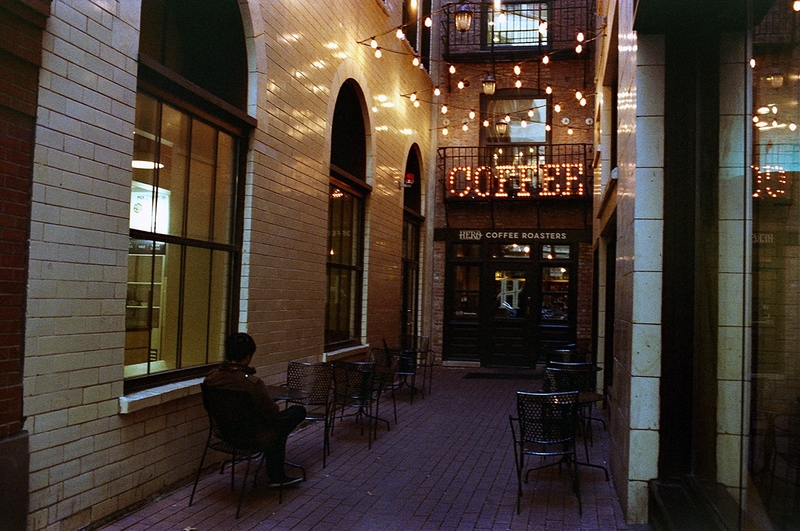 If you’re ever in Chicago and you’re looking for a really nice cup of coffee, I highly recommend checking out Hero Coffee Bar in the southeast corner of the loop. Not only was the coffee fantastic, but it was by far the coolest little coffee shop I’ve ever been to. 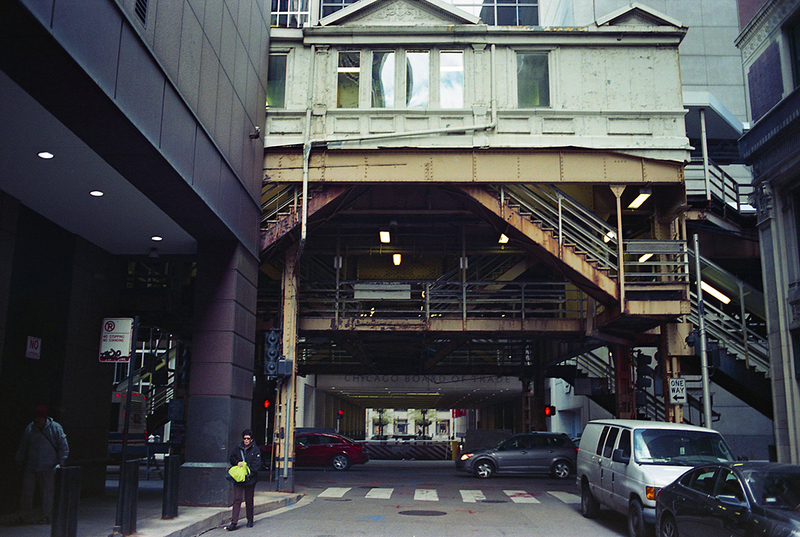 It was a tiny little place, the inside no bigger than my studio apartment back in Boston, and was nestled snugly in an alley between two towering buildings. 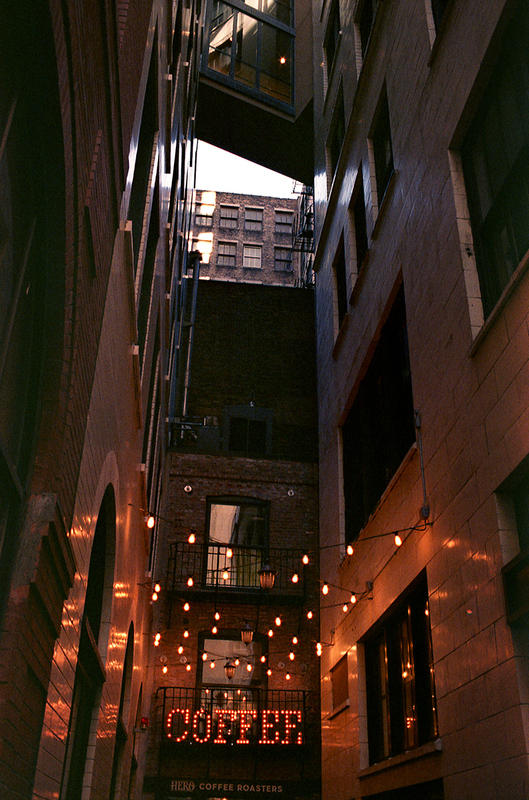 Even in the middle of the day, the lights leading up to it in the dark alley made for a pretty cool ambiance. Another great cup of coffee can be had at Intelligentsia. 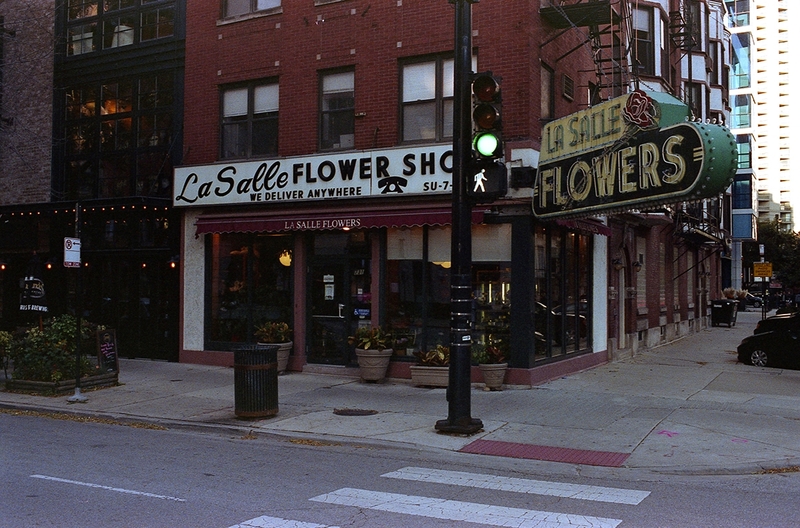 Apparently we have a couple of these in Boston, but I believe they’re originally based here in Chicago. So I guess they’re technically a chain but there are only a few shops set up in a select few cities so it still counts as a local joint to me. It definitely felt like one too. 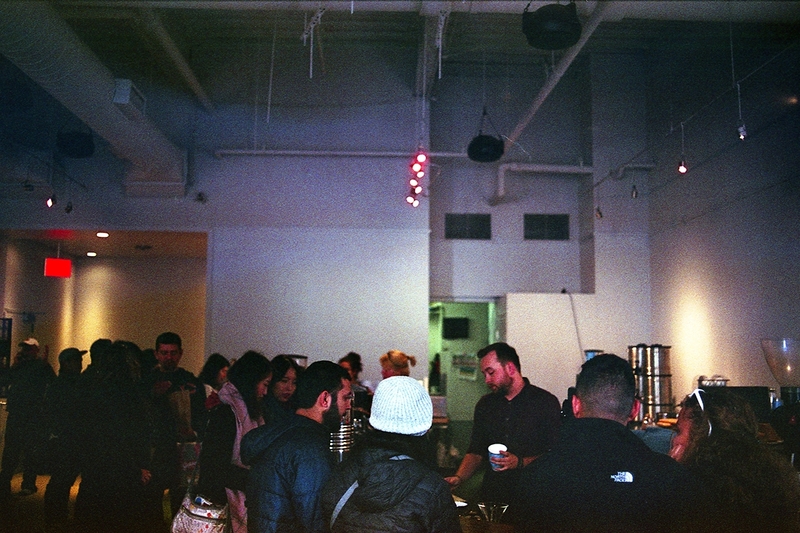 Very minimalist space with not much more than a concrete floor, one giant wooden table haphazardly thrown off to the side for people to sit at, blank white walls, and the coffee machines. Oh, and a gigantic line of people stretching all the way around the interior and almost out the door. It obviously has a reputation around town which was very well deserved in my opinion. 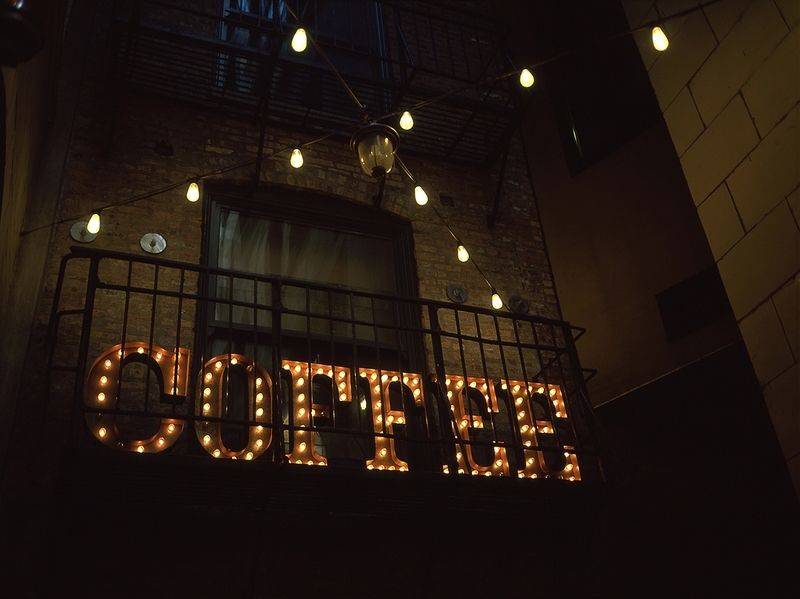 Back to the Hero Coffee Bar for a second, this is one of my 645 Provia shots. 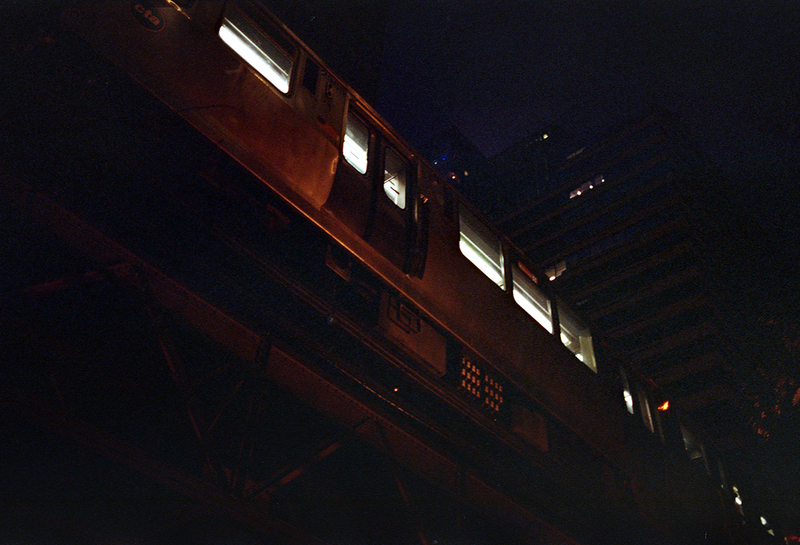 From this one roll I shot this weekend I got the impression that this film really shines in low-light (or, perhaps ‘interestingly-lit’) situations. That’s generally the kind of stuff I like to shoot, but being a 100 speed film, and my 645 camera’s fixed lens only having a max aperture of f/4, I’m not too sure I’ll be able to get much use out of it. I’d like to see how it does on a tripod for some night photography soon though. I was fortunate to have caught this beautiful sunset. It was like the sky was filled with cotton candy. 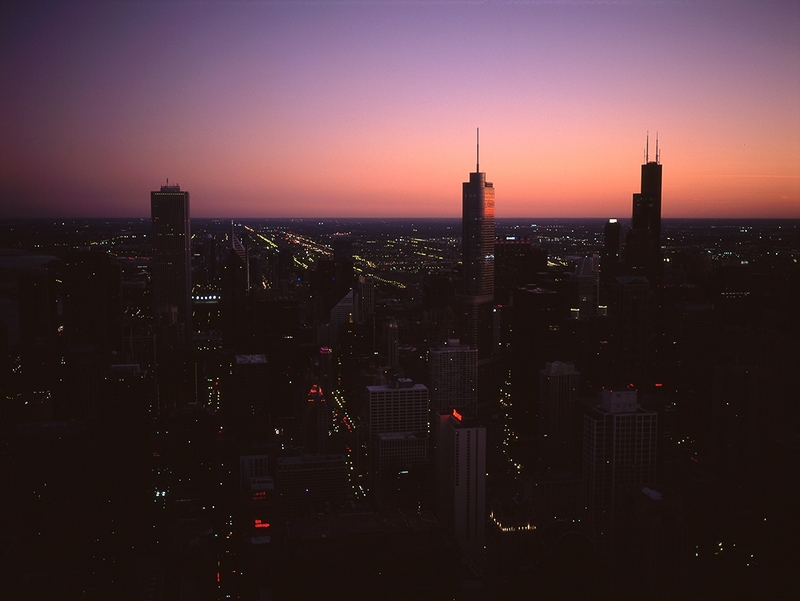 And then another nice sunset on the next night from atop the Hancock Tower. 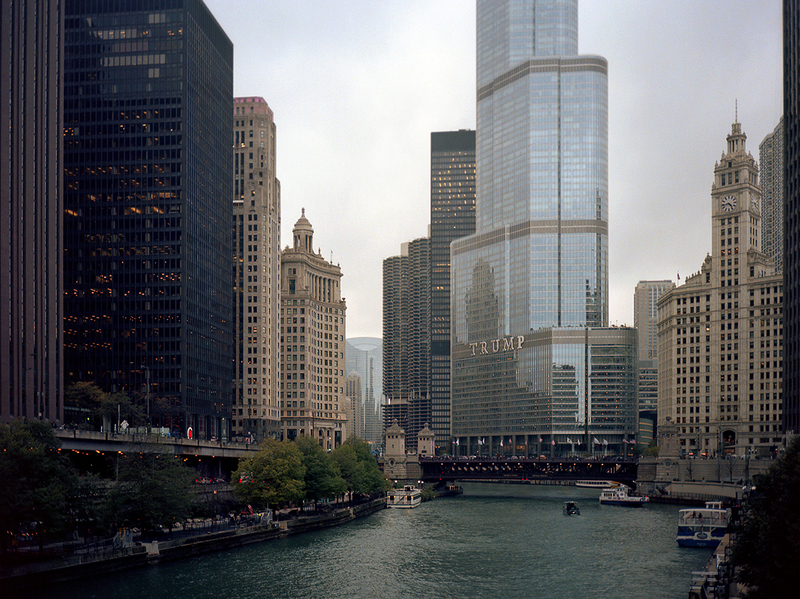 It was a toss up between checking out the observation deck here or the Sears Tower, but I opted for this one so I’d be able to actually see the Sears Tower, since that’s probably the most iconic building in Chicago. 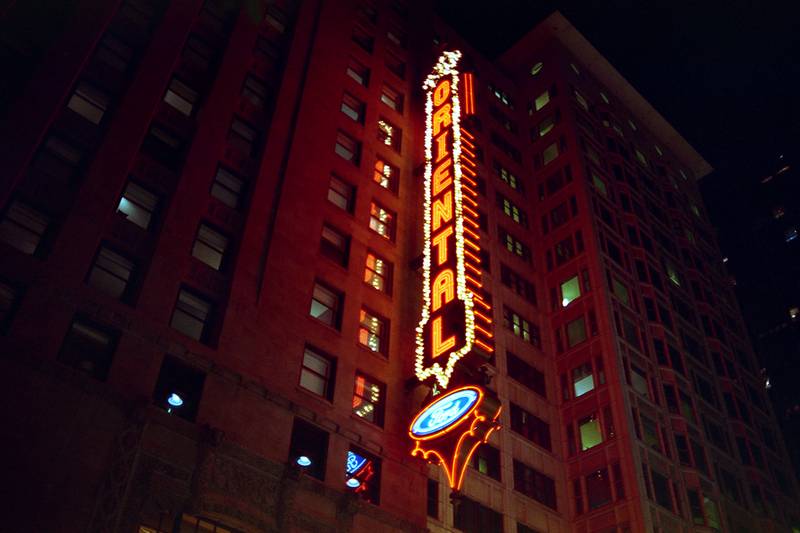 This one and the next three are some more 645 Provia shots. I definitely loved how this film renders scenes in lighting like this. 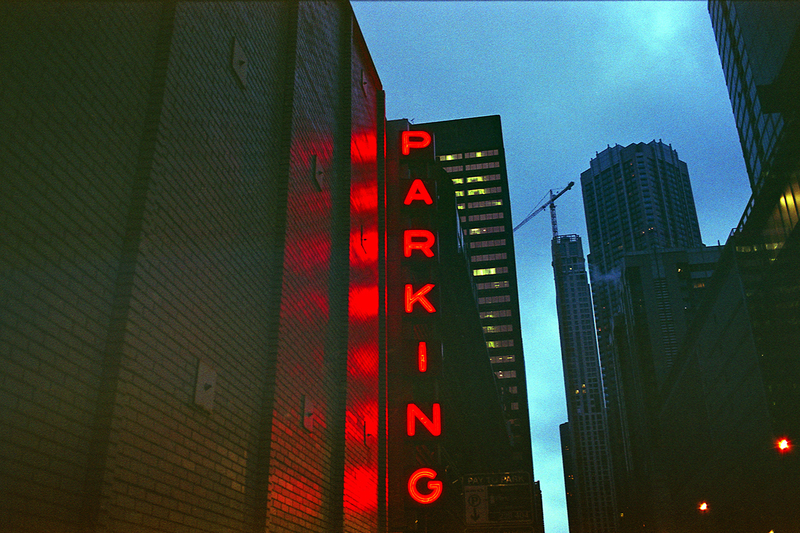 As long as I can nail the exposure, the colors I was able to get out of this film were amazing. That and the almost complete lack of grain in the shadows make this a very attractive option for me from now on when doing this kind of photography, provided I can get decent enough shutter speeds (or use my tripod). 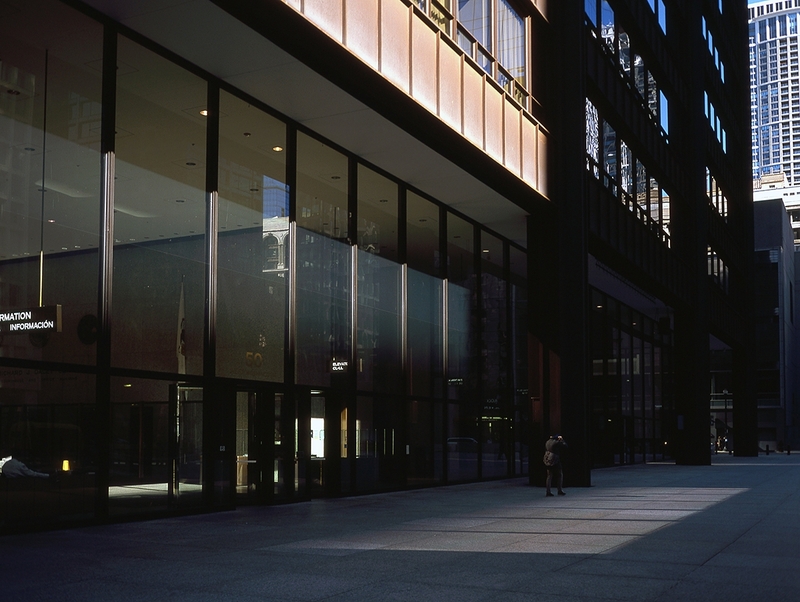 And here’s an example of Provia in the daylight. 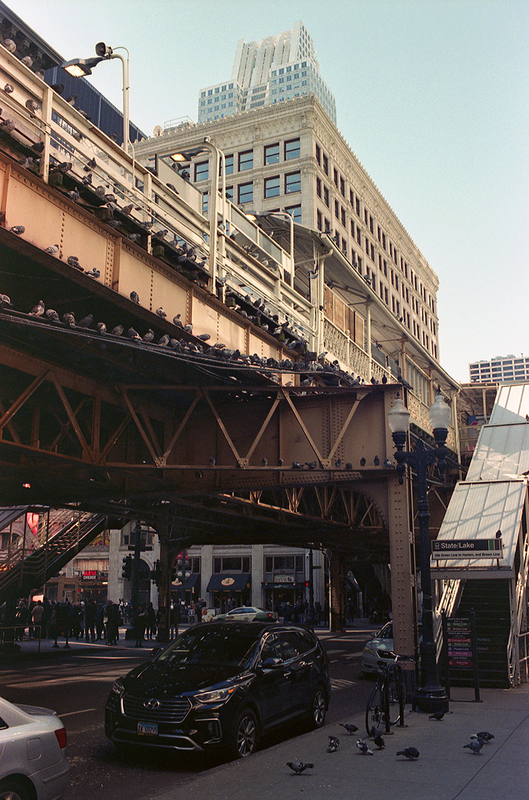 Chicago is a very high contrast city during a sunny day, so these are probably tough conditions to be shooting slide film in (at least if you’re like me and don’t have a lot of experience with it). I’m used to overexposing on purpose with negative film, as the highlights hold a ton of detail and most negative films tend to really look their best when overexposed by a stop or so. Can’t do that with slide film unfortunately. It works okay here too, I really like the colors, but again I just wish it had a bit more dynamic range. I would have been able to bring those highlights in the sky back down with negative film. 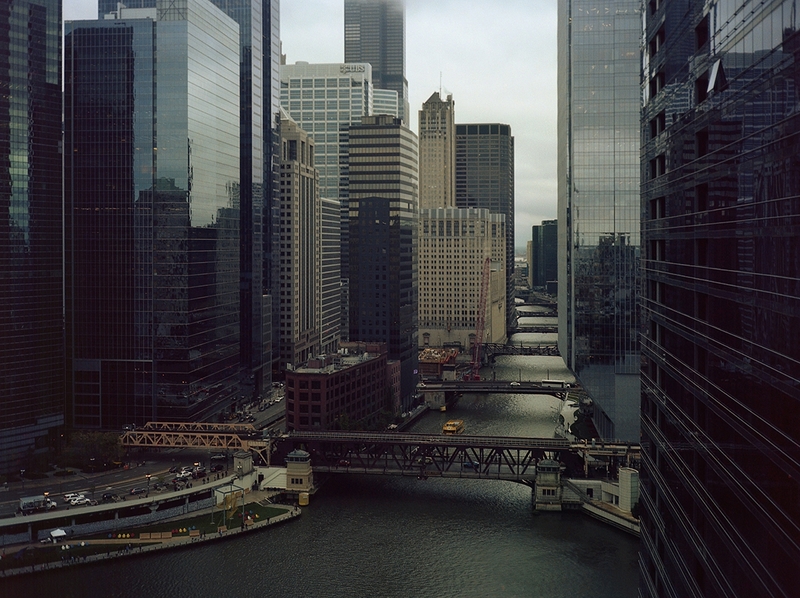 And here’s my last Provia shot. 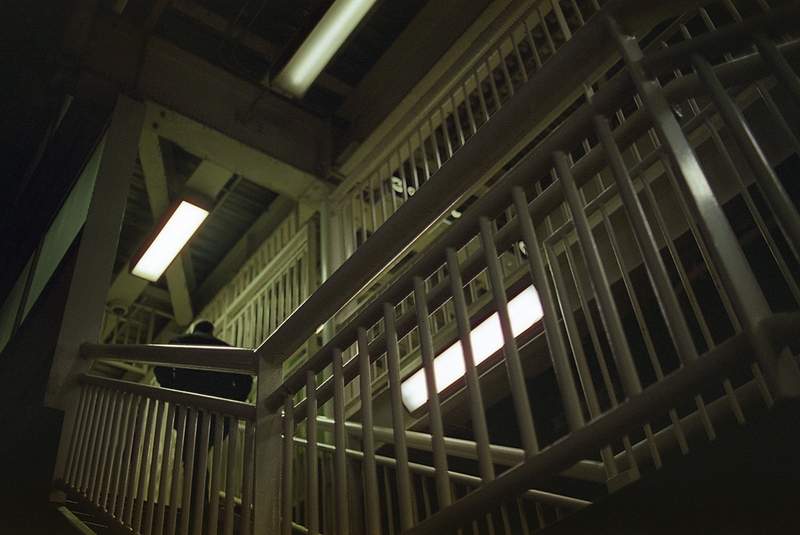 I really love the blacks this film produces, way nicer than any negative film I’ve used. They’re like charcoal here. I’m going to try to use this film some more in the future, but I’ll have to be a bit more selective in where and when I do. Will probably take a bit of trial and error. 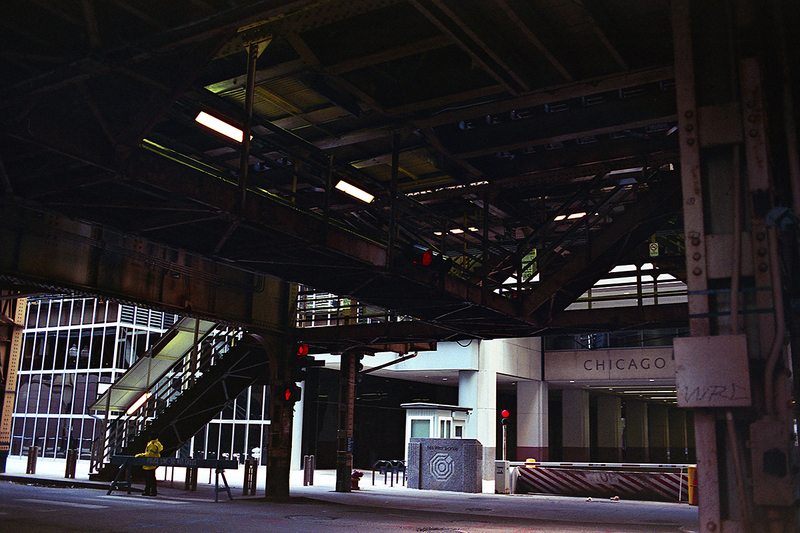 For example, a lot of my 35mm Provia shots were shot in direct sunlight and too overexposed to really be salvageable. Kind of a bummer. I bought a 5 pack of it in 35mm though so I’ll have to give it another shot in some different conditions before I make my final judgement on it. 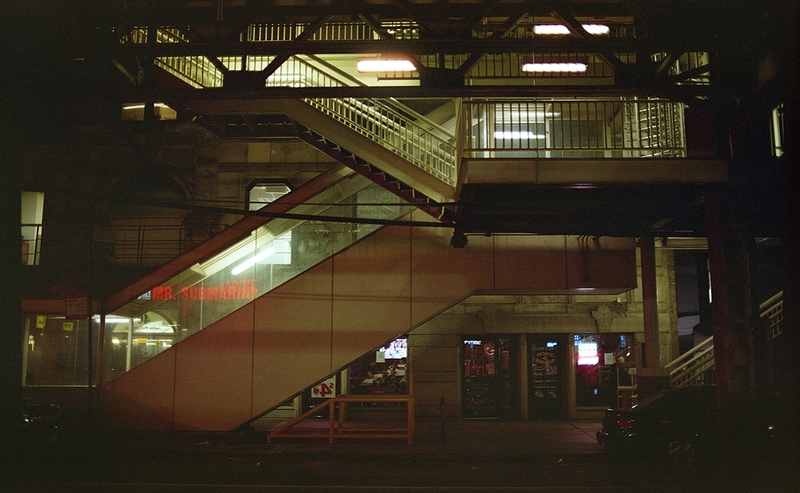 Back on 35mm with Superia, here’s a batch of some night photography I did walking around the loop. The theme was artificial lights and elevated trains. I took 8 pictures of this parking garage’s signs from varying angles. This was my favorite one. 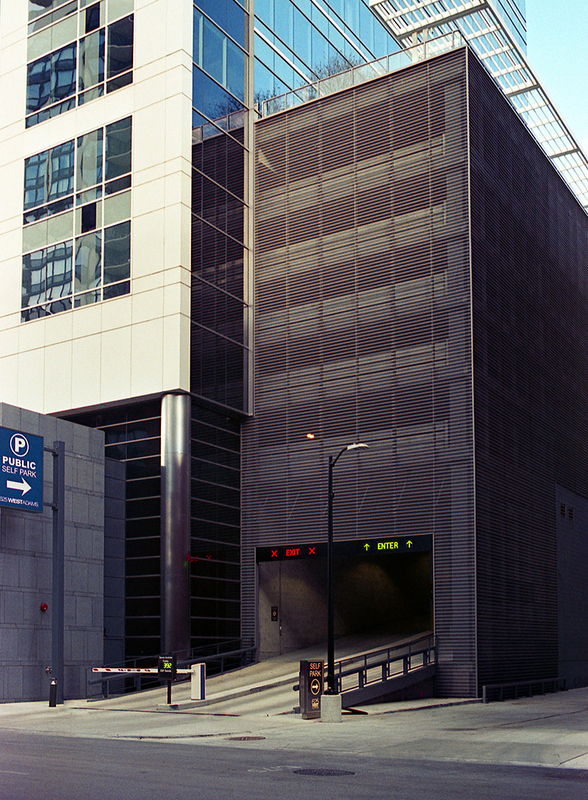 Speaking of parking garages, I can’t remember the last city I went to which had as many of them as Chicago. They’re everywhere here, it’s definitely a city for car commuters. I’ve also never heard so many people honking their horns than I have here. I thought Boston was bad, but Chicago drivers are on another level. I really wish I had my 645 with me for this one. It came out great I think on 35mm, but the extra resolution would have really come in handy for all these birds. I’ll probably still print it, just not as big as I could have. 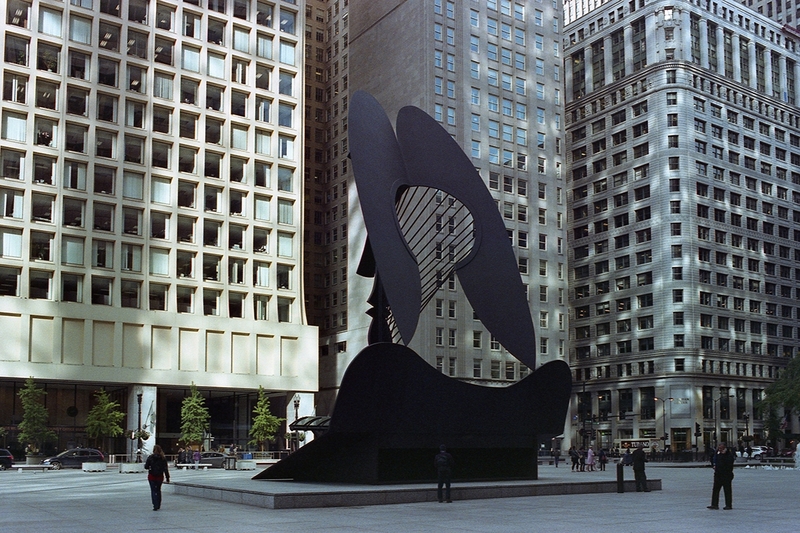 Found some cool large-scale public art installations in the loop too. We don’t have too many things like this in Boston I don’t think. It reminded me more of like something you’d see in NYC. 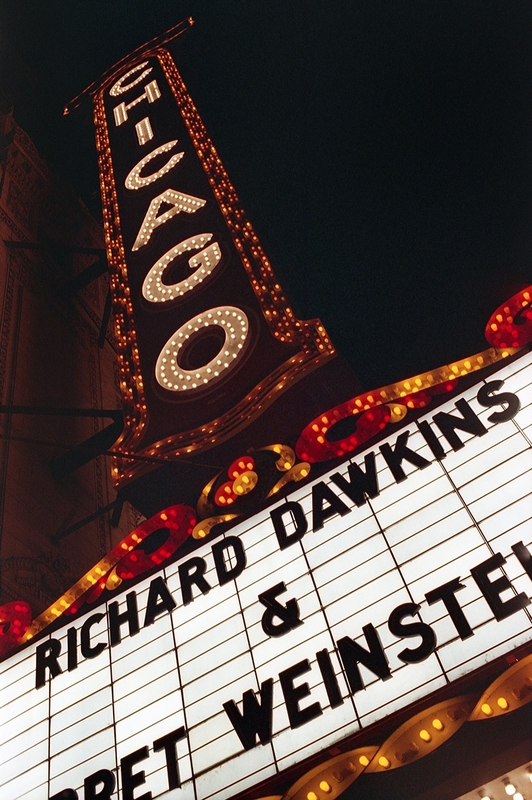 Chicago in general actually seemed like a really good mix of both of these cities to me. I felt like it had the vertical size of New York, with the horizontal size of Boston. So you got the scale of being in a gigantic city, but you could easily walk from one end to the other and back in a couple hours. 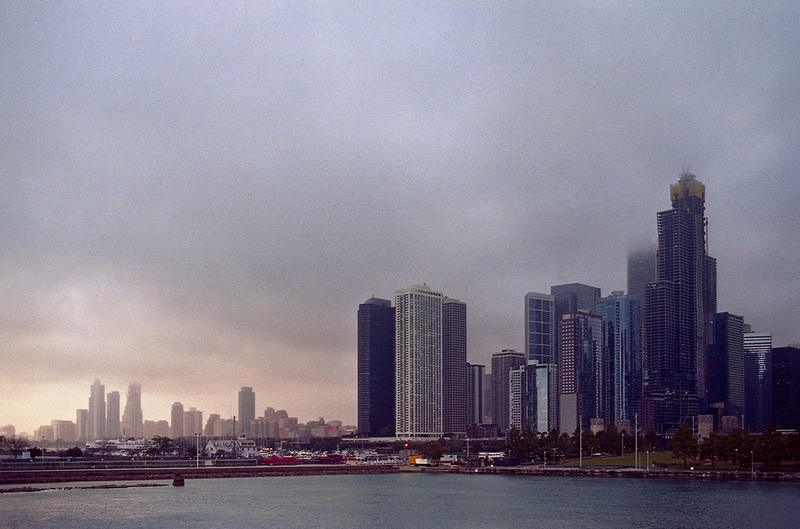 This was shot from the Navy Pier on Lake Michigan. It was a nice walk, took maybe an hour to make it all the way around. It was really cold and windy though so if you’re planning on heading here in the winter you should dress accordingly. Nice views though, probably even more so atop the ferris wheel which I did not go up on. 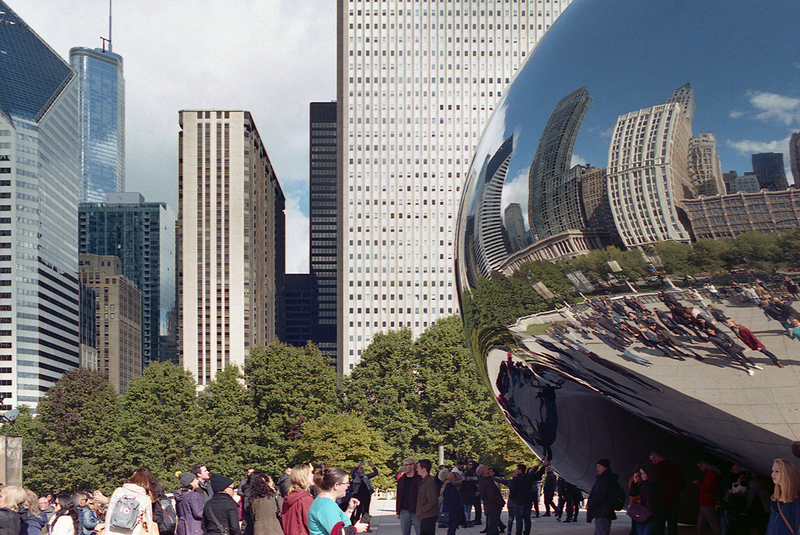 And of course, you can’t go to Chicago without checking out the Bean. This is about as touristy as it gets. Nonetheless it was really cool. I actually took like 15 pictures of this thing but I don’t want to Bean you to death so I’m just posting this one. 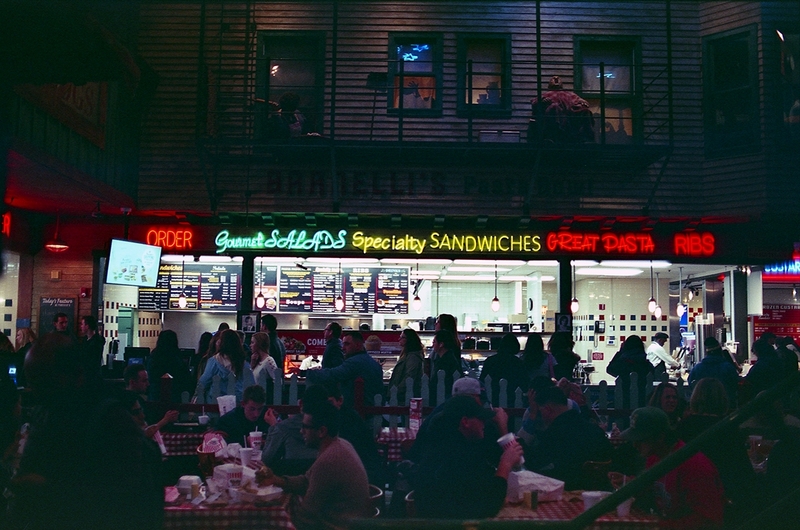 Speaking of touristy, this is Portillo’s in River North. Apparently THE place to go for a Chicago dog if you’re downtown. According to the tourist guides on the internet, at least. 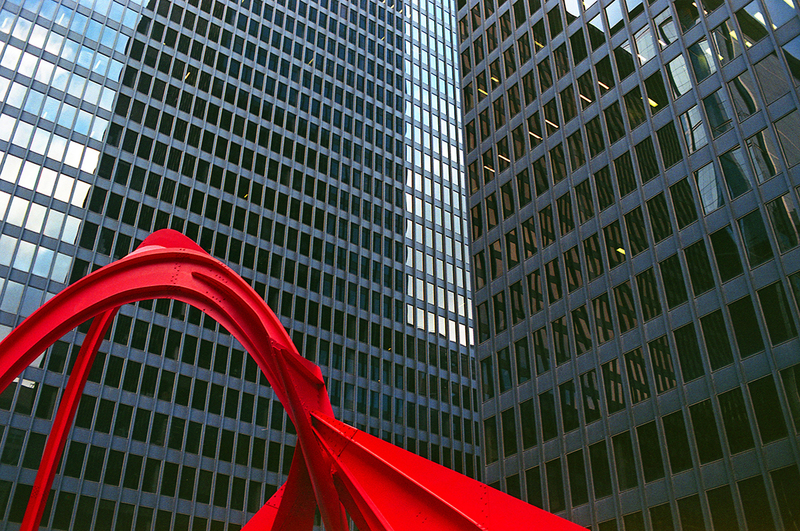 I’m sure there are Chicago locals with their own favorite spots whose eyes just twitched reading that. And that’s it. 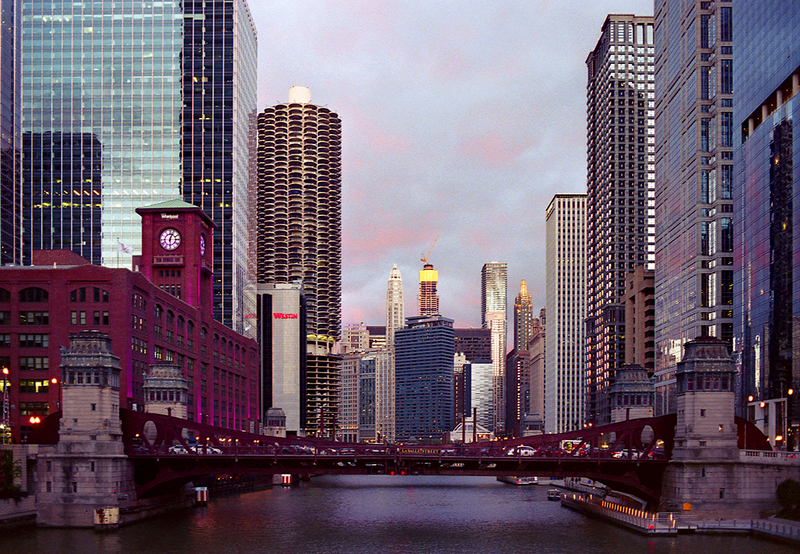 Chicago in a weekend. I hope you enjoyed checking out my pics and reading about my adventures as much as I did taking and going on them. See you soon, where ever I end up next time.